Among the different things that we can do to earn money today, perhaps one of the most popular is to work online. Jobs and other online opportunities have proliferated through time and have given more and more people very good chances to make money. Much like any other undertaking, to work over the Internet has its sets of pros and cons. If you are interested to do so and earn some income, then it would be advantageous for you to understand these pros and cons first before you make your final decisions. One of the most common reasons why many people decide to work online or work from home is the idea of freedom. When you work from home, you essentially unleash yourself from routines and standards. You do not necessarily have to adhere to dress codes, suffer traffic jams or sit on the same spot in the office all day. Moreover, although technically you still have a boss, his or her physical absence makes your working environment friendlier. Aside from the idea that you have been set free, when you work at home, you can actually save more money. Since you do not have to leave your home, you don’t have to ration a budget for your fares. Furthermore, you do not have to spend on appropriate clothes to wear for your work. The money that you may have to allocate for these things can be used for other purposes such as your savings. These are the benefits that you may enjoy when you work online. All you ever need to have is a computer, an internet access and your set of skills to start working and earning money online. Since you already have an idea of the positive things that working online can provide you, it is also very crucial to look at its disadvantages for you to come up with a fair and logical decision. You have to remember that although there are plenty of opportunities to work on the web; looking for the most suitable position for you can become a bit challenging. The competition in the online world is pretty tough. Countless people have discovered that working online is an excellent way to earn money. Now, you may have to compete with all these people to get online jobs or opportunities that you want or need. Moreover, when you work online, you may need to have more than enough self-discipline to get things done. The lack of structure may make it a little difficult for you to shun away from doing other things apart from working. These are some of the drawbacks that you may have to deeply consider before you quit your office job and start to working online. 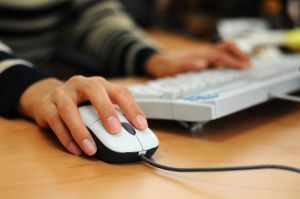 Hopefully, the advantages and disadvantages listed above could guide you in deciding on whether or not to work online. Don’t rush things up. Consider what you must or may need to consider. Although working and earning money online can be very promising, it may not really be the thing for you. A Review of Pinecone Research: Is It a Scam?